There is a link the the Home page, but the Red Warning looks pretty bad. Thankfully, there is a way to make sure that your viewers never see this ugly and scary page simply by installing a free Broken Link Redirection tool called ReDJ Manager. To get this free tool, go to the JED Site Management, URL Redirection. Click Download to get the latest version. Then upload it to your website. Then click on Components, ReDJ Manager. Go to the Plugin Manager to enable the plug in. Then click Save and Close. Before we set up this page, we need to create our custom Redirect page. First create a Custom Error Page. Keep the title short and simple such as Broken Link Page so that the generated URL is short. Unfortunately, the article you are looking for has been moved to a different part of our website or a new updated website we created. The best way to find the article you want is to go to our Home page and click on one of the topics in our main menu. Hopefully, you will find the article you want in one of the sub menu items. If not, try a different topic. Thank you for visiting our website! In the Article Manager > Edit Article screen, click on the Publishing tab. Then change Robots from Use Global to No Index, No Follow. Then click Save and Close. We will place our Broken Links page in a hidden menu and then copy the URL. To create a new menu, go to Menus, Manage. Then click New. For title, call it Hidden Menu. For Type, type in hiddenmenu (no spaces all lower case). For Description, type in Hidden Menu. Then click Save and Close. We will not add a module for this menu. Instead, go to Menus, Hidden Menu. 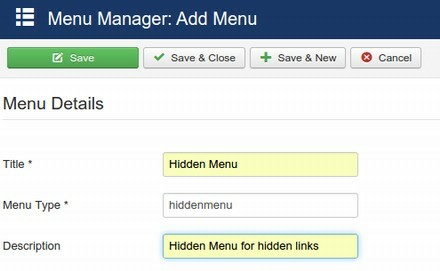 Then create a menu item for the Broken Links page in the hidden menu. Click Save. Then copy the link from the link box. Click Save and Close. 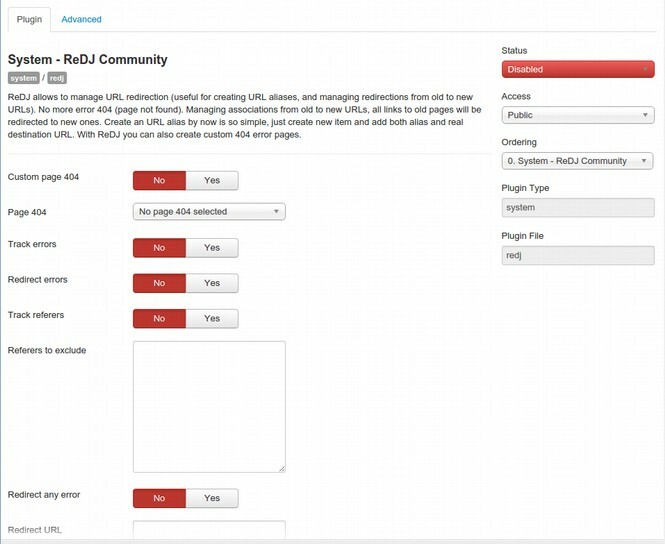 Then go to our Plugins Manager and open the ReDJ Plugin. Then paste the link in the plugin Redirect URL box. Joomla also comes with a Redirect System. Go to Components > Redirects. Then click on Enable it in the Plugin Manager. Joomla will now collect any broken links and display the number of hits to each. Too many broken links to your site can harm your SEO and frustrate your visitors. Therefore if you have a serious broken link, create a specific redirect for it so that your visitors are taken to the new correct link rather than to our Broken Link page. Test this redirect in a new browser tab. Copy the bad URL and paste it into the address bar to make sure it goes to the correct page. Now that we have our redirection system set up, we will next add a free tool to create a site map for our website.